Canadians, your time has arrived. While the CRTC banned the carriers from unlocking smartphones on December 1st, for those wanting to skip a step and save a bit of time and purchased an unlocked BlackBerry Motion will be able to do so on January 12th. The BlackBerry Motion will be available $615.48 no term through Amazon Canada. 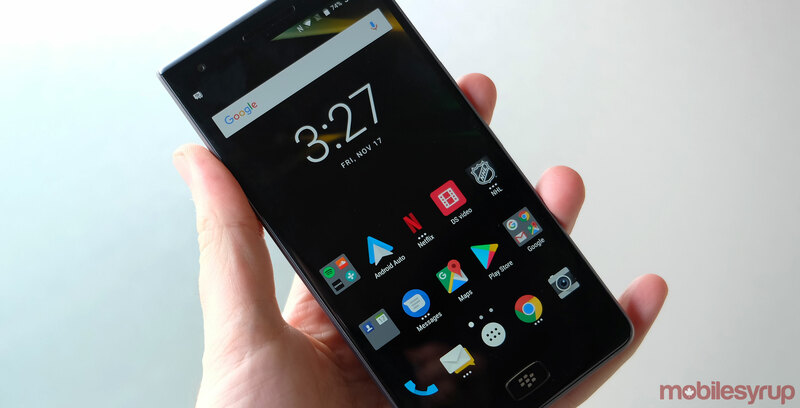 As for specs, the TCL-make BlackBerry Motion features a 5.5-inch scratch resistant display, powered by Qualcomm’s Snapdragon 625 chip, 4GB RAM, a 4,000mAh battery with QuickCharge 3.0 support (USB-C), and a 12-megapixel camera with an 8-megapixel front-facing camera. The Motion originally launched in Canada through Bell, Telus, Koodo and SaskTel.